The Newcomers Junior race at the 1995 Manx Grand Prix was Ian’s first race on the Isle of Man. He came 21st in this race, with a time of 1.29.44.6. The following year Pattinson entered the MGP Junior and Senior races, where he finished 31st and 29th respectively. 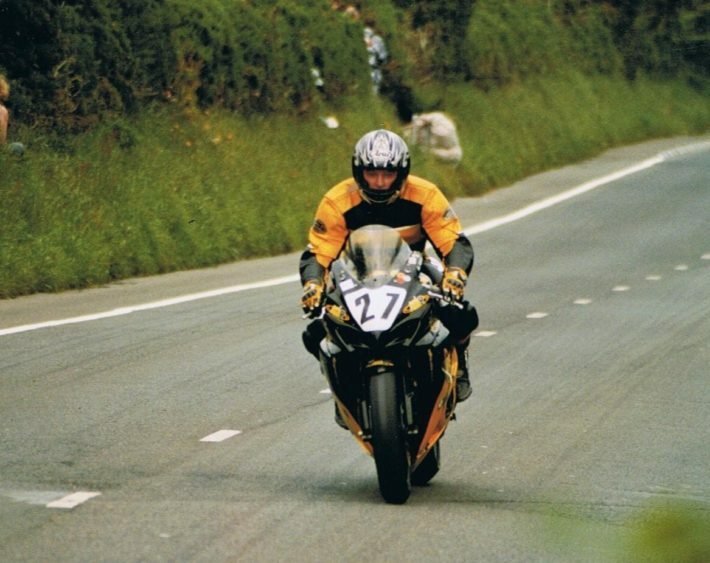 Ian was a regular at the Manx Grand Prix from 1995 to 2005, when he got his win. Previous to this, Pattinson had five MGP podium finishes, with his first podium coming in the 2002 Senior race, where he placed 3rd. Following this, Ian took the runner-up position in the 2003 Senior and Junior races and came 2nd in the Senior again in 2004 and 2005. After his success in 2005, Pattinson took his attention to the TT. Ian was due to make his TT debut in the Production race in 2001; however the races did not go ahead due to the outbreak of Foot and Mouth disease in the UK. This meant his first appearance at the TT was halted until the following year, where Pattinson raced in the Production 1000 race, placing 38th riding a 1000cc GSXR Suzuki at an average speed of 108.97mph. He returned to compete in the same race in 2003, improving massively to take 12th place at 115.12mph. Following his success at the Manx Grand Prix in 2005, Ian has competed in every TT (from 2006-2017). He placed 21st in his first Senior TT appearance in 2006, with the race being won by John McGuiness. Pattinson achieved his ambition of a top 10 finish at the TT in 2007, when he came 8th in the Superstock race. This remains Ian’s highest TT finish to date, where his average speed was 121.695mph. This was not Ian’s fastest TT race however, this feat came in the 2009 Superstock race, where his average speed was an impressive 122.262mph. Pattinson ended up coming 15th in the race which was won by Ian Hutchinson. In terms of recent form, the TT regular appeared in four races at the 2017 TT, with 29th being his highest finish in the Superbike race. As well as this, he came 31st in the Supersport TT 1, 32nd in the Senior TT and 34th in the Superstock race, winning a bronze replica in each. Before the 2018 Isle of Man TT Pattinson released that this would be his last, retiring at the end of the race week. 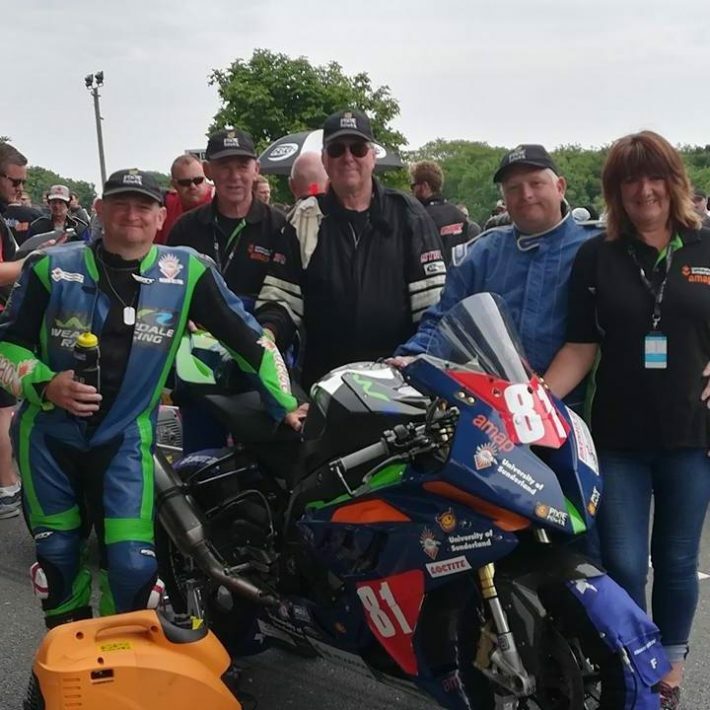 His final appearance at the TT saw the man from County Durham finish 42nd in both the Supersport TT 1 and 2, as well as 36th in the Superstock. His best finishes came in the Superbike and Senior TT, where he placed 29th in both, riding the Weardale racing BMW. Before the 2018 Isle of Man TT, Pattinson announced that this would be his last event, retiring at the end of the race week. His final appearance at the TT saw the man from County Durham finish 42nd in both the Supersport TT 1 and 2, as well as 36th in the Superstock. His best finishes came in the Superbike and Senior TT, where he placed 29th in both, riding the Weardale Racing BMW. Ian’s final TT saw him record more 120mph+ laps and win three more bronze replicas giving him a career total of 11 silver and 45 bronze replicas. In total, he started 64 races, finishing an impressive 59, whilst his best lap of 124.397mph came in 2007.